Southern Utah University is taking strides in the fast growing field of cyber security by teaming up with top cyber security professionals. Working with Nuix, a company that combines advanced technology with expert knowledge to solve real-world data challenges, SUU is gearing up students to work in one of the world’s largest growing tech industries. With the help of Nuix’s industry professionals, SUU is expanding its Master of Science in Cyber Security and Information Assurance curriculum and providing hands-on knowledge and experience to better educate students. These new courses will train the next generation cyber security experts in counter intelligence, defense, homeland security, law enforcement and computer forensics. Professionals currently working in cyber security will help teach online courses, offering depth and insight to subjects they deal with daily. Some of these professionals include Senior Vice President of Cyber Threat Analysis Chris Pogue, Director of Advanced Threats and Countermeasures Ryan Linn, and Associate in the Government Contracts, Investigations & International Trade Practice Group, Sheppard Mullin Richter & Hampton LLP, Alexander Major. 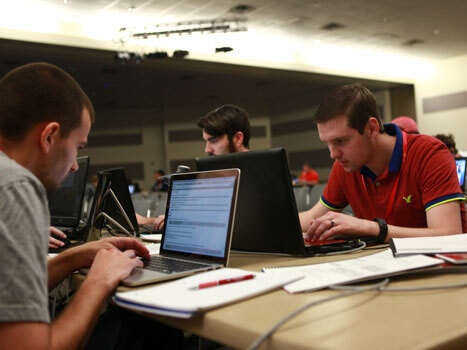 The Master of Science in Cyber Security and Information Assurance program at SUU prepares its students to take on one of the greatest threats to industry and government today. The program will help to develop the skills and knowledge base necessary in organizing and managing an effective security strategy that successfully defends against immediate and future cyber threats and related enterprise challenges. SUU works hard to make it possible for non-traditional students and working professionals to earn a Master’s degree. By offering its Master of Science in Cyber Security and Information Assurance 100% online, SUU aims to advance all of its students in this fast growing career field. Those who are interested in this program should contact SUU at 435-865-8665 or onlineadmissions@suu.edu immediately as classes are scheduled to begin soon.